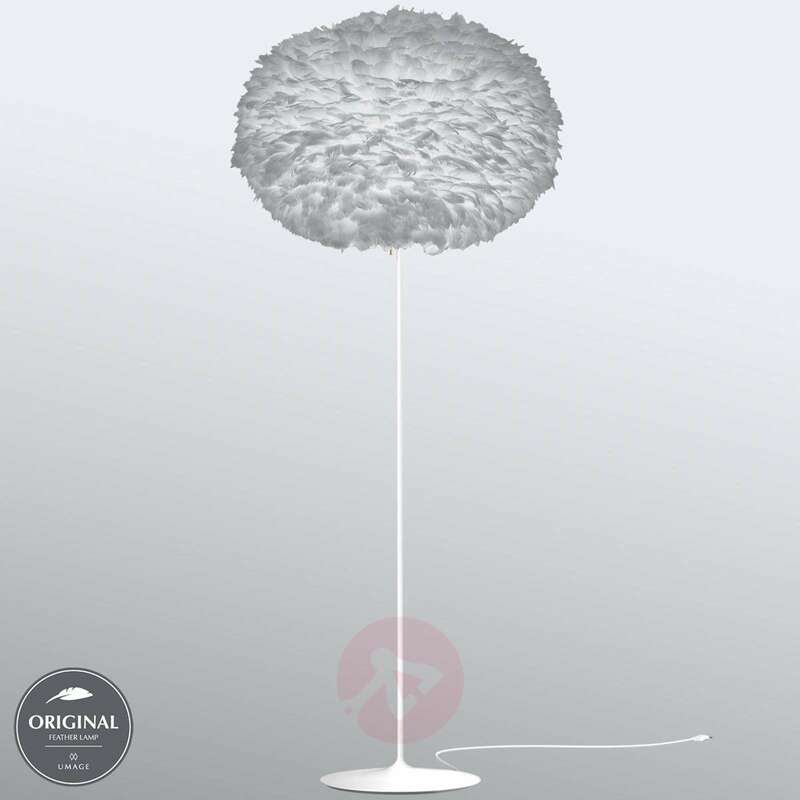 The lampshade of the floor lamp Eos has an impressive diameter of 75 cm. But this is not the reason why the floor lamp instantly attracts everyone’s attention. This is because of the light grey lampshade which is designed from approximately 6,000 real goose feathers. The result is a very natural flair not only from a visual perspective, but also with respect to the lighting effect. A floor lamp which is a very decorative accessory for modern interiors thanks to its elegant, white Champagne floor stand. The lampshade was designed by Søren Ravn Christensen, who works for the company UMAGE, of which he is a co-founder, as the creative developer. The Danish designer Anders Klem, who is passionately dedicated to the development of modern lighting creations, is responsible for the design of the frame. Please note: if it gets dirty, the lampshade can very easily be cleaned using a hair dryer. The company UMAGE is based in Denmark and produces high quality lights, taking environmental concerns into consideration. The result is extraordinary designs with a sustainable approach.